A blend of vineyard sites that winemaker Thomas Bachelder has contracted in Beamsville and Vineland, the Niagara Chardonnay shows the vintage and house style of the talented Montreal-born, Burgundy-trained vintner. 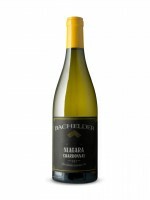 This is a barrel-fermented Chardonnay with enjoyable rich character and lively acidity that refreshes the palate from start to finish. Everything is here in the right amounts, concentrated fruit, vibrant acidity, creamy texture, remarkable length and grip that make a second glass a forgone conclusion. Great value.